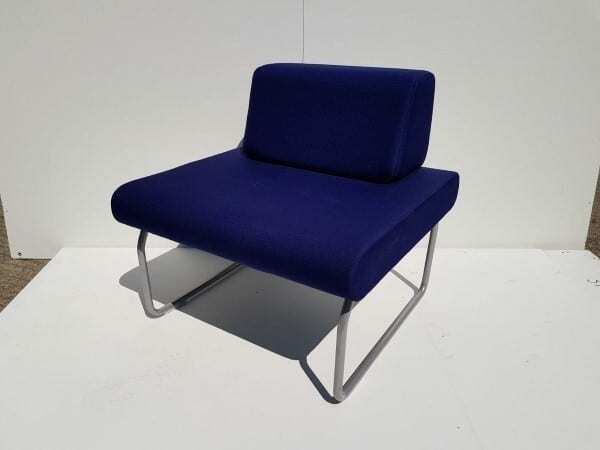 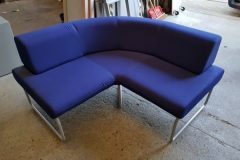 This modular soft seating combination, finished in royal blue cloth, can be used to create an interesting and engaging meeting area or a formal reception area. 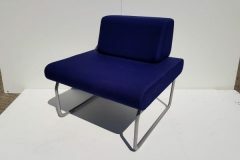 We have 2 straight seats and 2 corner seats available. 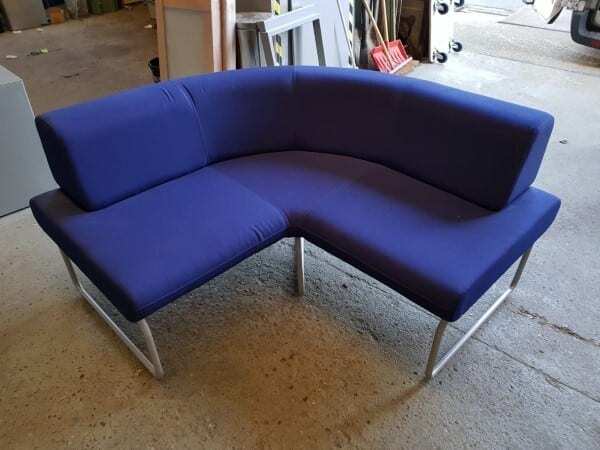 As always, you can view these sofas in our showroom along with all our other used office furniture.